The final season of “Game of Thrones” finally arrived and fans were able to see many characters reunite. According to Comicbook.com, one reunion that fans were happy to finally see was that of Jon Snow and Arya Stark. Although the half siblings shared a special bond, they haven’t seen each other since the series pilot. When fans saw the siblings unite, they took to Twitter to react with excited GIFs. One fan posted a video of them hugging from the first season that parallels the hug from this season. On Sunday night's Game of Thrones, audiences got to see the return of an unexpected character: Nymeria, Arya Stark's former direwolf. 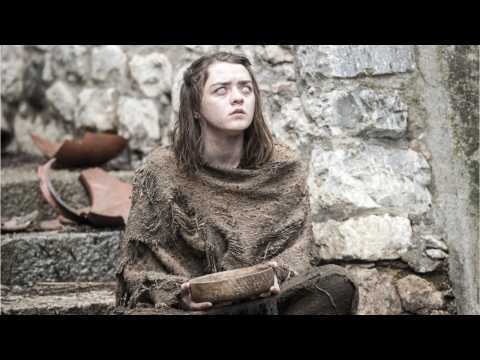 Arya was heading north to Winterfell after learning Jon Snow had returned home when all of a sudden, a pack of wolves surrounded her, and her chances did not look good. But it turns out Nymeria was the leader of the pack—and the emotional result was devastating. Nymeria just turned her back and walked away with her pack. Actress Maisie Williams, who earned her first Emmy nomination for her work on 'Game of Thrones' this year as Arya Stark, recently revealed that she's read the scripts for Game of Thrones season seven and has made her reactions very public. In her tweets, Williams says, "I'd start preparing yourselves now. Scratch that, nothing will prepare you for this. In the final season of “Game of Thrones,” Emilia Clarke’s character Daenerys is arriving to Winterfell. Daenerys will show up with Jon Snow, Tyrion, Jorah, Missandei, Greyworm and an army. Clarke described her character meeting the Starks to the film “Meet the Parents.” It is the moment where she comes into the family and is being evaluated whether she should be trusted. According to UPROXX, Sansa and Arya may like her because she’s a powerful woman but at the same time, she’s an outsider. It's been just a few weeks since Urban Decay made the announcement, but its Game of Thrones-themed makeup collection is finally here. Included in the six-piece collection is a 3D pop-up eye shadow palette, a highlighter palette, and three 24/7 Glide-On Eye Pencils. According to Allure, it also includes four Vice Lipsticks and a lip and cheek tint reminiscent of a vile of blood. The set is finished off with two eye shadow brushes designed to look like Arya Stark and Jon Snow's swords.